This is an auspicious moment in the history of the Taxon of the Week series, because for the first time in nearly two years, the chosen taxon is an individual species rather than some more supraspecific. So you'd think I'd open the post with a nice big picture of the species in question, wouldn't you? Sorry, you'd be wrong, because I haven't been able to find a picture of Coprinopsis herbivora. In fact, I've been able to find next to diddly on Coprinopsis herbivora. All I've been able to establish is that it was described by Rolf Singer in 1973 from Argentina as Coprinus herbivorus (and I don't have access to the original publication), and it looks like it might be found worldwide: I've found references to what look like records from Australia and Finland. And as far as C. herbivora specifically goes, that is it. Coprinopsis picacea. 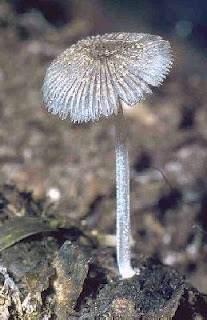 Like C. herbivora, C. picacea has been included in Coprinus subsection Alachuani (morphologically defined by the cellular structure of the cap), so the two species are likely to be closely related (NB. Because of the obscenely complicated way in which botanical subgeneric nomenclature works, I can't just say "Coprinopsis subsection Alachuani", because that name probably doesn't exist). Photo by Pau Cabot. So let's widen the field of view a little. Those of you who didn't immediately recognise the names "Coprinopsis" and/or "Coprinus" were doubtless getting decidedly frustrated by the last paragraph, seeing as I had declined to mention just what, exactly, I was talking about. To explain, Coprinopsis and Coprinus are genera of mushrooms. Until recently, Coprinus included the mushrooms known as ink-caps. When an ink-cap first pops out from the ground, it looks like a fairly undistinguished mushroom. However, as the mushroom matures, the spore-bearing gills begin to liquefy. The mushroom's cap progressively dissolves into a puddle of vile black goo, like some sort of Z-grade horror effect. As the cap dissolves from the outside in, the spores mature in the same direction, so the progressive dissolution means that mature spores are always on the edge of the cap, well exposed to be caught and carried off by the wind. At least some species of ink-cap are edible (that is, if picked before they turn into sludge) but reports differ - many species contain a compound called coprine that can react violently with alcohol. To quote Edible Wild Mushrooms of North America: "It is important to note that coprine leaves the body primed for poisoning for several days (even a week by some reports) after eating the mushroom. Therefore, it is not only the consumption of a coprine-containing mushroom and an alcoholic drink at the same time that can cause coprine poisoning. Symptoms can also occur if someone drinks wine, for instance, two or more days after the meal or eats a coprine-containing mushroom after consuming alcohol" (emphasis in the original). Another shot of Coprinopsis picacea specimens, showing various degrees of dissolution. Photo by Marino Zugna. Well over a hundred species of Coprinus had been identified and described from around the world, but all that began to change in the late 1990s, with the advent of molecular phylogeny. A number of studies (most notably Hopple & Vilgalys, 1999) found that the genus Coprinus was polyphyletic, with at least two widely separated clades. The deliquescent cap, it turns out, had evolved on more than occasion. The great majority of species of Coprinus belonged to a clade containing other genera that had been assigned to the family Coprinaceae, though the Coprinus species were not monophyletic within this clade - the positions of species assigned to the genus Psathyrella divided them up into three smaller clades. 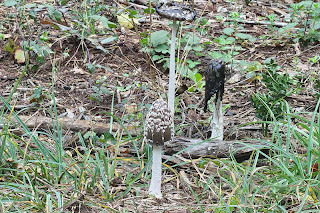 A very small number of Coprinus species, however, fell within the family Agaricaceae, so more closely related to the common field mushroom Agaricus bisporus (i.e. the only mushroom that many British people and their equally mycophobic descendants are willing to believe is edible) than to other "Coprinaceae" species. This wouldn't have really been a problem, except that one of those agaricaceous defecters just happened to be the type species of Coprinus, C. comatus. This meant that the name "Coprinus" had to be associated with the small segregate, not with the clade containing the vast majority of species, and Coprinus went from including over a hundred species to including two or three. Similarly, the family containing that large clade could no longer be called Coprinaceae, because it no longer contained the genus Coprinus. The taxonomic implications of all this were worked through by Redhead et al. (2001). They renamed the no-longer-Coprinaceae clade Psathyrellaceae, and divided the ex-Coprinus species into three genera corresponding to the three smaller clades found by Hopple & Vilgalys (1999). This was not an easy process, for a number of generic names had been synonymised with Coprinus over the years, and they all had to be checked to see if they applied to the "new" genera (the results are long and tortuous, and anyone reading Redhead et al., 2001, who does not have a particular enthusiasm for mycological taxonomy is likely to suffer severe cranial implosion). For two of the segregate genera, Coprinopsis and Coprinellus, Redhead et al. dredged up ancient and little-used generic names that had been used for species in each of these clades (and when I say ancient and little-used: Coprinopsis, for instance, had been named in 1881, its own author had abandoned it by 1889, and it had it never been used between then and 2001). The third clade had no suitable generic name, and so Redhead et al. proposed the new genus name Parasola. An older name, Pselliophora, did exist for the genus Redhead et al. dubbed Coprinopsis, but they recommended that that name be quashed - on the somewhat unsteady grounds that a change from "Coprinus" to "Coprinopsis" was easier to remember than one from "Coprinus" to "Pselliophora". Coprinopsis xenobia, another member of 'Coprinus' subsection Alachuani. Photo by Hans Bender. As can be imagined, the prospect of wholesale name changes for over a hundred species was not greeted with unalloyed enthusiasm from all quarters. While Redhead et al. put in their request for the conservation of Coprinopsis, Jørgensen et al. (2001) put in a counter-request to change the type species of Coprinus to a species in the largest of the segregate clades - Coprinopsis - so minimising the number of species needing name changes. The decisions on these proposals were published in 2005 (Gams, 2005), with what can only be described as a distinctly grumbling tone. The name Coprinopsis was conserved over Pselliophora - but it was made clear that this proposal would not have been supported if Redhead et al. (2001) had not gone ahead and published no less than 98 new combinations in Coprinopsis and so presented the Committee with something of a do-or-be-damned situation. The proposal to change the type species of Coprinus was turned down, on the grounds that, as well as being the type, Coprinus comatus is one of the better-known species in the old genus - and its vernacular name in French is "le coprin". And can I note that this seems to be an extraordinary degree of kerfuffle over who gets to keep a name that, loosely translated into English, means "like a turd"? Gams, W. 2005. Report of the Committee for Fungi: 12. Taxon 54 (2): 520-522. Hopple, J. S., Jr & R. Vilgalys. 1999. Phylogenetic relationships in the mushroom genus Coprinus and dark-spored allies based on sequence data from the nuclear gene coding for the large ribosomal subunit RNA: divergent domains, outgroups, and monophyly. Molecular Phylogenetics and Evolution 13 (1): 1-19. Jørgensen, P. M., S. Ryman, W. Gams & J. A. Stalpers. 2001. (1486) Proposal to conserve the name Coprinus Pers. (Basidiomycota) with a conserved type. Taxon 50 (3): 909-910. Redhead, S. A., R. Vilgalys, J.-M. Moncalvo, J. Johnson & J. S. Hopple Jr. 2001. Coprinus Pers. and the disposition of Coprinus species sensu lato. Taxon 50 (1): 203-241. Singer, R. 1973. 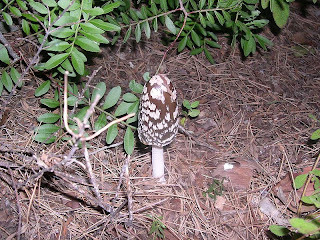 Diagnoses fungorum novorum Agaricalium. III. Beihefte zur Sydowia 7: 1-106. 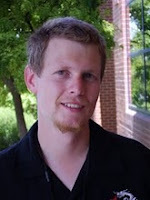 Thank you, Chris, for a succinct treatment of a complex nomenclatural subject - hats off to you! In addtion, I'm glad to have my favorite word on the planet so beautifully highlighted. It can be used in such academic sentences as, "OMG, that was so embarrassing, I SO wanted to deliquesce into a little puddle on the floor!" As a side note, I recall when this little nomenclatural hubub was happening. No interested parties were eager to deal with what the unfortunate facts of evolution presented (the work really was tremendous), but the rules of botanical nomenclature prevailed. Fascinating to watch as a budding systematist, almost like watching a car wreck. The work is messy, and causes a lot of confusion (and yes, anger!) in the short term. But, in the long run (IMHO), our understanding of the organisms is all the better for it and well worth the effort. Man, you can keep us on the edge of our seats by writing about... taxonomy! =D That's impressive! I'm glad to have my favorite word on the planet so beautifully highlighted. It can be used in such academic sentences as, "OMG, that was so embarrassing, I SO wanted to deliquesce into a little puddle on the floor!" I had even more fun with the word "dissolution", I can assure you - I liked the idea of dissolute fungi. Hey, I care about protists. Don't be dissing mah protists! 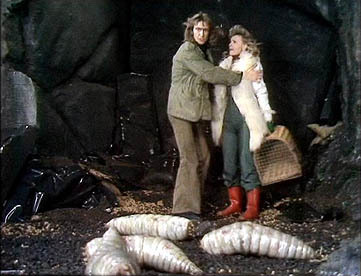 So if you're having chromalveolates and excavates, and I'm having opisthokonts and plants, that still leaves amoebozoans and rhizarians up for grabs.... Flip you for them? Oh, oh...and I get amoebae that can transform into flagellates with de novo basal body formation within 120min or something! Go heterolobeans go! *heteroloboseans, I can't spell or type or think right now... Saturday evening, etc. I think I may have seen the rhizarians-as-chromalveolates paper, but I can't remember details. Mind you, I don't know that I'd go so far as to say rhizarians are chromalveolates - alternatively, you could make the claim that cryptophytes and haptophytes aren't chromalveolates. Humans haven't figured out fungus. Fungus has figured out humans.